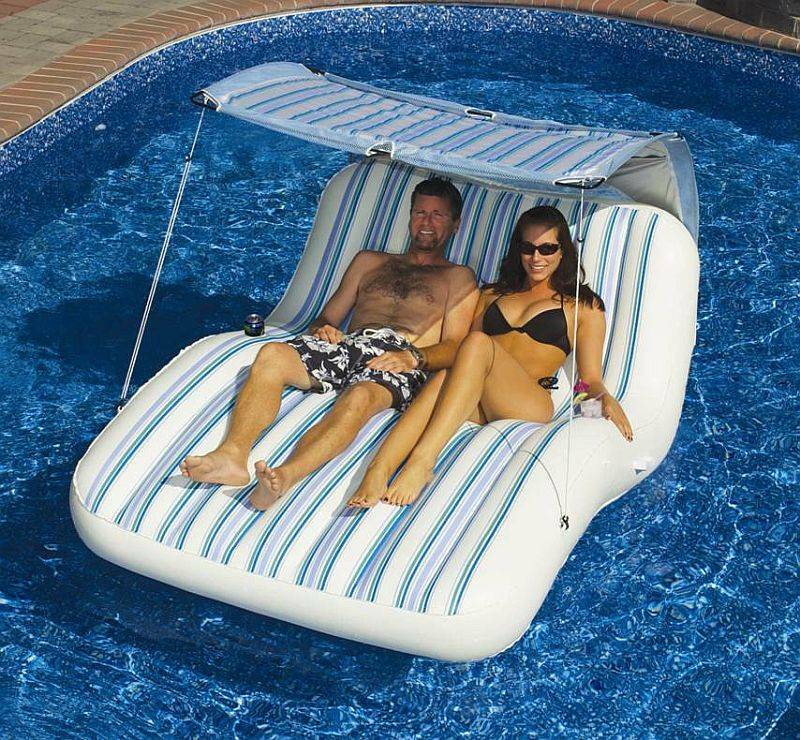 The Luxury Cabana Pool Float is actually ideal for the pool, beach, lake, ocean, or on land. Big enough for 2 adults, the Cabana Pool Float comes loaded with extras to keep you relaxing for hours wherever you choose to use it. The flocked fabric surface is very comfortable and provides extra strength and protection to the float. The float body is ergonomically contoured to provide extra comfort, and the float comes with an adjustable, removable sunshade. Two cupholders are built in to keep your beverage close at hand. This float comes with a battery operated pump (requires 4 D batteries which are NOT included) to quickly and easily inflate the float. There is a carry bag for convenient packing and transporting as well as a patch kit. 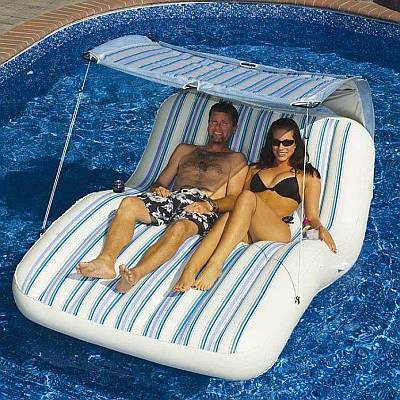 The Cabana Pool Float measures 73" x 57.5" x 35" H. With the adjustable sunshade, the float measures 58" H. There is a 350lb. suggested weight limit, and the float is covered by a 1 year warranty (warranty does not include punctures).